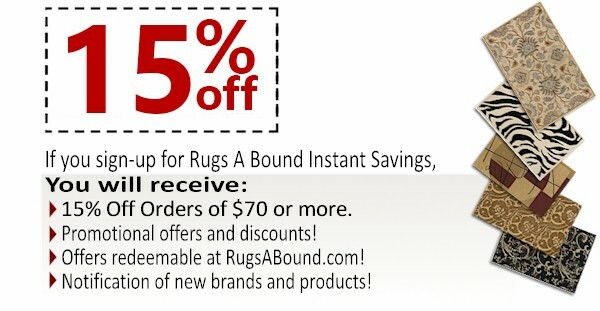 Do you need help with signing-up for Rugs A Bound Instant Savings? Contact Us. please add "service@rugsabound.com" to your contacts. Not valid with other offers. Certain restrictions apply. See coupon for details.